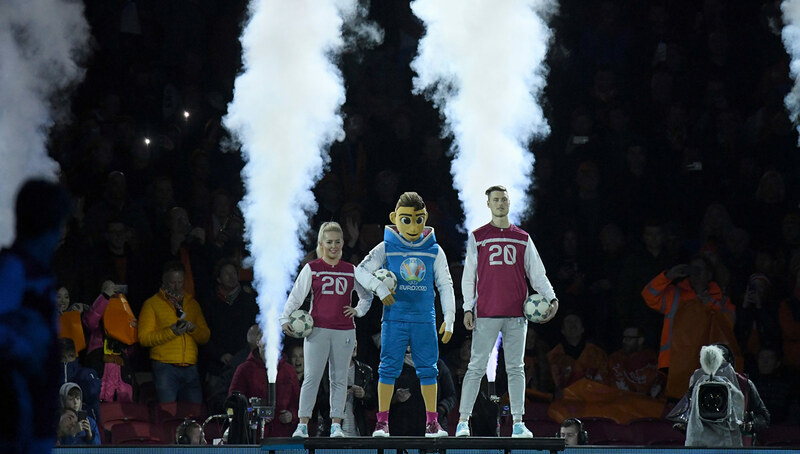 Ahead of next year’s UEFA EURO 2020 games, freestyle superstars Liv Cooke and Tobias Becs have been named official ambassadors alongside mascot Skillzy. 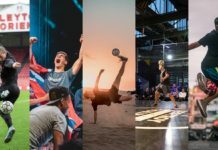 Putting freestyle in a global spotlight brighter than ever before, this is a prime opportunity for the sport to spread to an even wider audience. 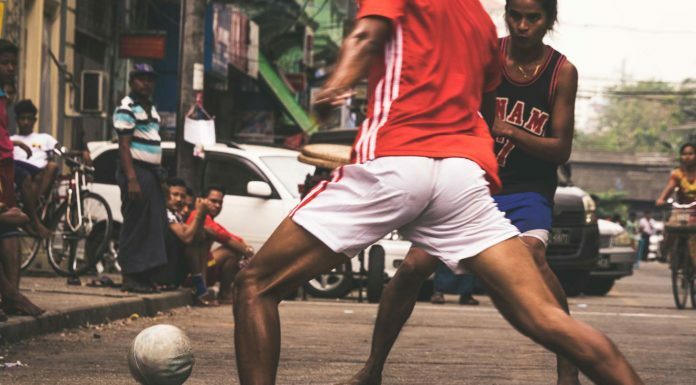 As I often start off these articles, the rapid worldwide growth of freestyle football has become impossible to miss. I mention this time and time again because there is plenty going on throughout the world that is acting as a catalyst in bringing freestyle into a more mainstream spotlight. 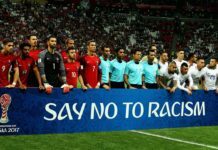 Exhibit A — one of the world’s biggest football tournaments has cherry-picked to show freestyle in a wholesome way to a global audience. To set the scene: A packed out Johan Cruyff Arena in Amsterdam on a Sunday, a crowd of 55,000. The Netherlands were playing home to Germany in a UEFA EURO 2020 qualifying match, but the thrilling last gasp 3-2 win to Die Mannshaft wasn’t the only entertainment on display. 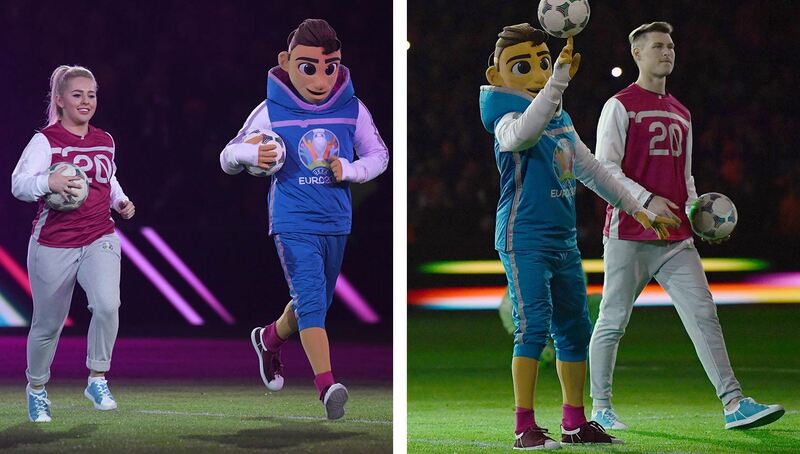 Prior to the game, fans were treated to the surprise unveiling of the official EURO 2020 mascot, none other than Skillzy! 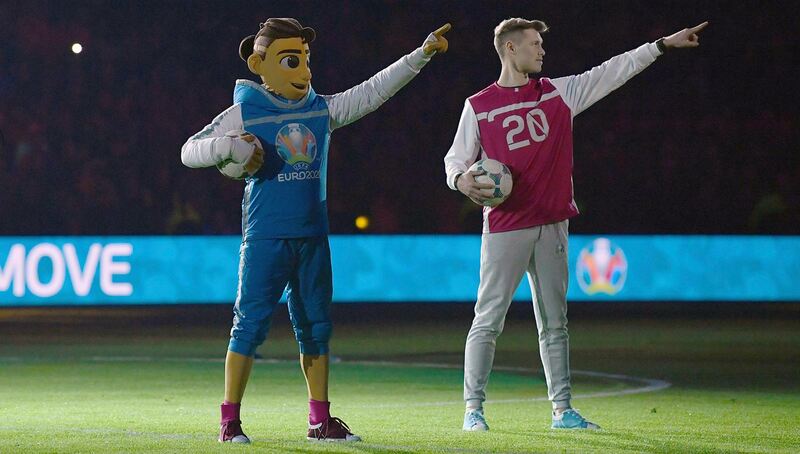 A human-like character doing some freestyle football skills, Skillzy is a mascot unlike any other we’ve seen. But that’s not all — Skillzy will be accompanied by pro freestylers Tobias Becs and Liv Cooke as the official performing team for the tournament. There was a solid choreographed show that included many other freestylers on the night as well, as this was all part of the launch of UEFA’s “Your Move” campaign, in which freestyle football is the main focus. For the first time ever (and still not entirely sure why if I’m honest), the European Championships next summer will not be taking place in one singular country or two neighbors. Instead, it will be hosted in 12 of Europe’s finest cities, with the final taking place underneath the iconic arch of Wembley Stadium in London. The trio of Skillzy, Becs, and Cooke will be featured throughout the tournament, sharing their skills on what is sure to be a high exposure event for them and more broadly freestyle football altogether. The “Your Move” campaign is also an online competition and opportunity for other individuals to bring their moves to the big stage and be part of the show alongside the official performing team. The idea is to show unique moves that best represent their cities. Cooke and Becs will shortlist the entries for a public vote, whereby two people (one male, one female) will be chosen for each of the host cities: Amsterdam, Baku, Bilbao, Bucharest, Budapest, Copenhagen, Dublin, Glasgow, London, Munich, Rome, and Saint Petersburg. 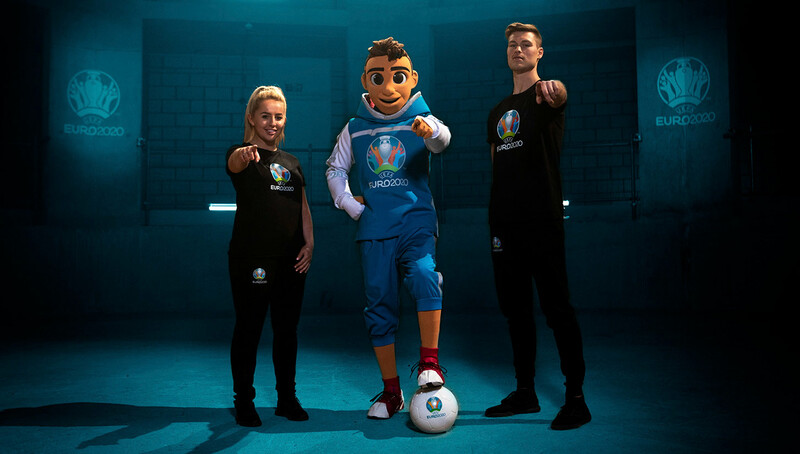 The larger-than-life character Skillzy was devised by UEFA to provide an interactive experience, reflecting younger fans’ passion for other forms of football outside the traditional 11-a-side game, including the likes of freestyle, street football, and panna culture. The freestyle football “industry” can sometimes victimize many, employing the likes of — how best to put it — imposters? Clowns? In other words, people who possess very little freestyle ability or don’t do the sport justice and instead get the lucrative jobs based on their marketability. The antithesis of a freestyle purist. However, with this campaign it’s truly fantastic for the sport that UEFA picked two former champions in Becs and Cooke to be the ambassadors and represent freestyle. Real tricks, real freestyle — the kind of stuff that took years to perfect. Not to mention the understanding of the freestyle values and culture. The sentiment was similar from the 27-year-old Norwegian Becs, who recognized how big a campaign this was both for football and freestyle. 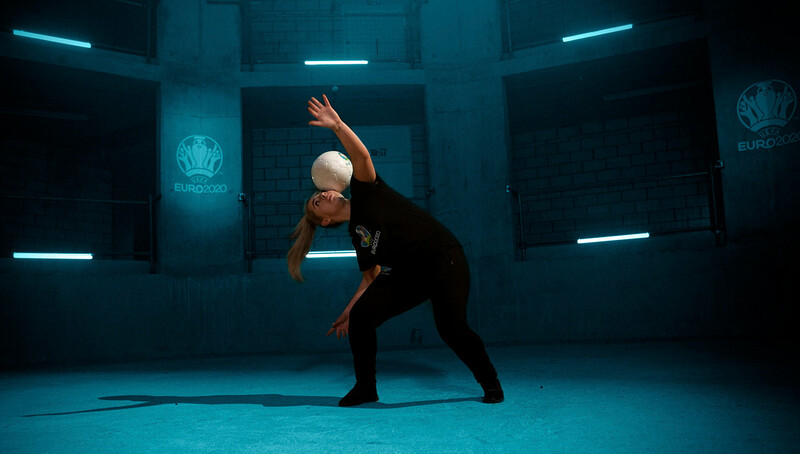 “UEFA EURO 2020 is about bringing fans from all over Europe together, and from traveling the world performing freestyle I’m so aware of football’s potential to unite,” Becs said in a UEFA release. The Your Move activation is open to all residents aged 18 or over of the 12 countries staging final-tournament matches. Videos can be uploaded here.